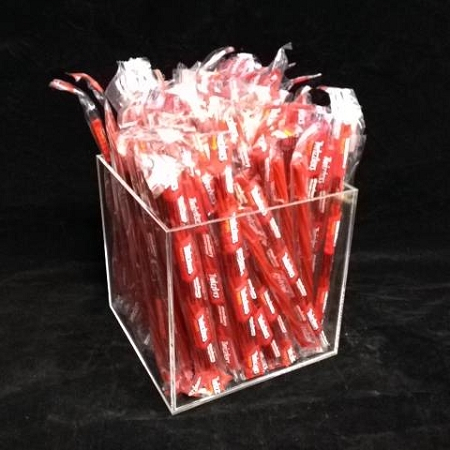 This 8 Square Acrylic Display Bin is a perfect choice for showing off your smaller items. Place on a counter top full of wrapped candies or on a shelf overflowing with lollipops and so many other ideas. This acrylic cube is not only a unique style display but will also give the added benefit of allowing customers to view the contents from any angle, there is no hindrance. 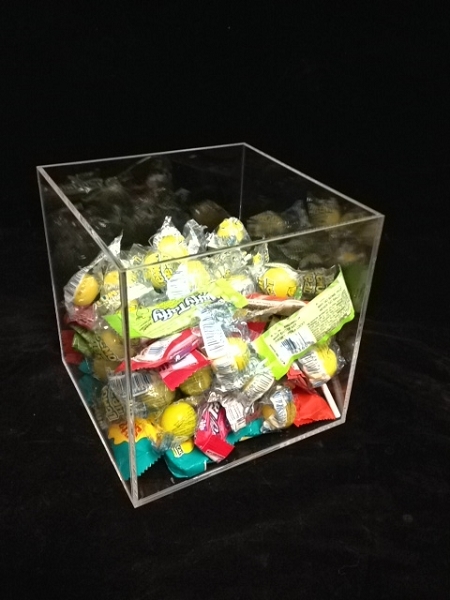 Design your set up to include the 4 inch and 6 inch clear acrylic cube and you can be sure to create even more foot traffic as people come to check out your great container. Make sure you order yours today at All Candy Containers.